Q. How do I access Calendar within Office 365? Office 365 has a calendar program that integrates into Mail, allowing you to schedule meetings with anyone. Click the Calendar icon in the lower left corner of the window. 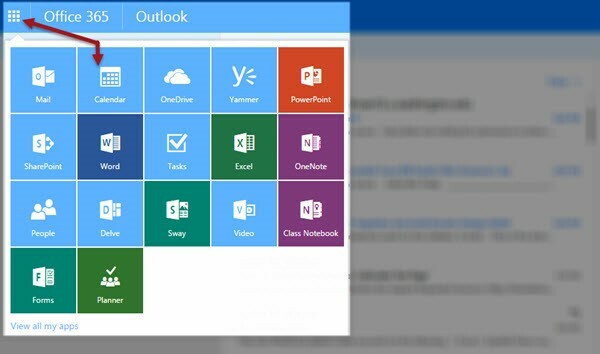 On any page in Office 365, click the App Launcher in the upper left corner (it looks like a grid).